French Bulldogs may look tough on the outside, but inside they are lovably soft, caring and easygoing. These dogs spread the good vibes wherever they go. Outgoing and open, they love nothing more than to cuddle on the couch, romp on the carpet or play in the yard. Boasting unlimited energy, they sometimes have no idea when (or how) to stop their motors. But, with a Frenchie, things never get out of hand. They rarely lose their cool, snap or bark. They simply want to roll around and play. 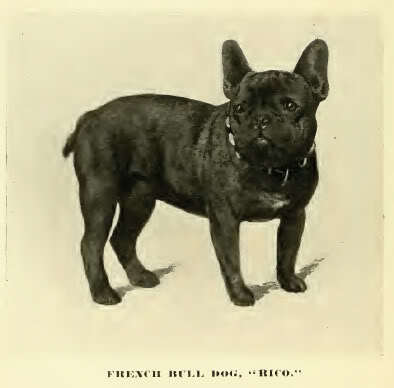 The French Bulldog should be on the short list of breeds for anyone who lives without a vast tract of suburban backyard. He's also a good choice for those who might have trouble giving a more active breed ample exercise. The Frenchie can also be a little hard to housetrain and may not be safe with a slow-footed family cat. He also snores, which might seem like a minor problem until you've actually heard the dramatic sounds that can emanate from his small body. For exercise, Frenchies jump on and off the furniture and do the “Frenchie 500” circuit through the house. A short daily walk of 15 to 20 minutes will help to keep them in shape. Schedule walks and outdoor playtime for cool mornings and evenings. Frenchies are sensitive to heat and can quickly succumb to heatstroke. This is not the breed for you if you enjoy hiking or jogging with a dog. Breeders like to send French Bulldog puppies to their new homes when they are nine or 10 weeks old. Frenchie puppies can become unpleasant little tyrants if they don’t get to spend the optimal amount of time with their mother and littermates, learning the rules of behavior toward people and other dogs. The French Bulldog does best in a family where someone is home most of the day. He’s not always good with small children or cats, and he can be aggressive toward dogs he doesn’t know. 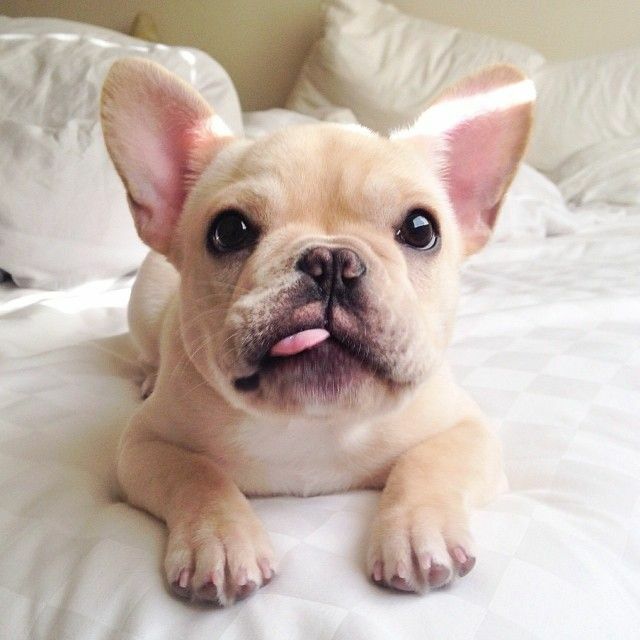 When a Frenchie is the right match for you, though, you’ll find it’s impossible to have just one. French Bulldogs do not need a lot of exercise, but they do need daily walks to keep them at a healthy weight. French Bulldogs do not handle heat very well and need to be monitored on hot days to ensure that they don't overexert themselves. French Bulldogs can be easy to train, but they can also be stubborn. Be firm and patient when training this breed. 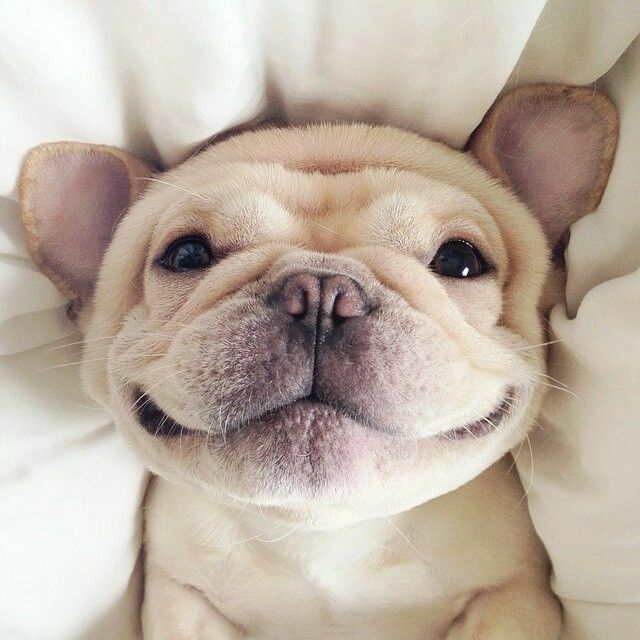 If you value cleanliness the French Bulldog may not be the dog for you, since he is prone to drooling, flatulence and some shedding. He can also be difficult to housetrain. French Bulldogs can be a quiet breed and are not known as a breed that barks frequently although there are exceptions to every rule. Because they don't tend to be excessive barkers, French Bulldogs make exceptional apartment dogs. 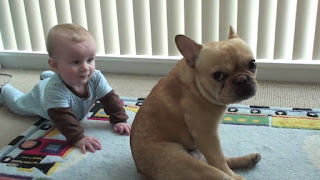 Although it is important to always supervise young children and dogs when they are together, the French Bulldog does very well with children. 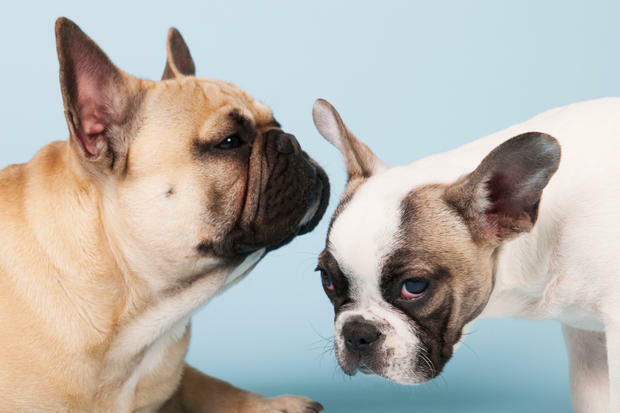 French Bulldogs make wonderful watchdogs, but they can become territorial. They also like being the center of attention, which can lead to behavioral problems if they are overindulged. 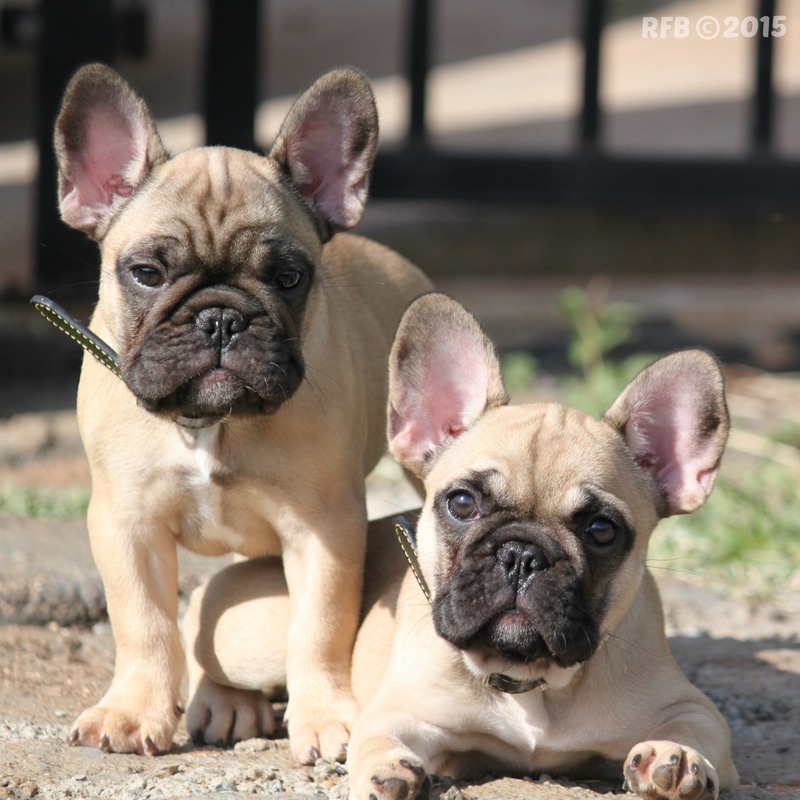 French Bulldogs are companion dogs and thrive when they have human contact. They are not a breed that can be left alone for long periods or left outside to live. French Bulldogs are restful and have minimal exercise needs, so they are a good choice for couch potatoes. The French Bulldog should not weigh more than 28 pounds, making him easily portable. French Bulldogs can be stubborn when it comes to housetraining. Be patient, be consistent, and consider the use of paper training or puppy pee pads to get around the problem (although it's always best to get the pup outdoors). Frenchies snort, snore and grunt, and they are known for making other odd noises. Frenchies are not good swimmers and should not have access to pools, spas or other bodies of water. The “bouldogge Francais,” as he is known in his adopted home country of France, actually originated in England, in the city of Nottingham. Small bulldogs were popular pets with the local laceworkers, keeping them company and ridding their workrooms of rats. After the industrial revolution, lacemaking became mechanized and many of the laceworkers lost their jobs. Some of them moved to France, where their skills were in demand, and of course they took their beloved dogs with them. The dogs were equally popular with French shopkeepers and eventually took on the name of their new country. The Frenchie has gained rapidly in popularity in the past decade. Today, the breed ranks 21st among the breeds registered by the American Kennel Club, up from 71st in 2000, a testament to his qualities as a companion. The French Bulldog, like many other companion dog breeds, requires close contact with humans. They have fairly minimal exercise needs, but do require at least daily short walks. The French Bulldog is sometimes called 'Frog dog' or a 'Clown dog.' Frog dog is in reference to the unique way they sit with hind legs spread out. Clown dog is because they are known to be fun loving vivacious 'clowns of the dog world.' Their calm nature makes them an excellent choice for apartment dwellers, as does their sensible attitude towards barking. Their bulk and their compromised breathing system makes it impossible for them to regulate their temperature efficiently. The French bulldog has only a single short coat. What this all means for the dog is that it becomes cold very easily. Also, they will very likely need to have some extra covering inside during the winter if you live in a particularly cold area. These dogs need warm clothing when out in cold weather. Precautions must be taken when exercising during hot or humid weather, as they are prone to heat stroke. It is also recommended that French Bulldogs who live indoors have access to air conditioning to regulate their temperature, provided the air conditioning is not set too low. French Bulldogs make excellent companions. The French Bulldog rarely barks, and if he does it is to draw attention, to point out that she needs something (like attention), or just because he is not happy he may give the "Frenchie death yodel." This breed is patient and affectionate with its owners, especially with children, who are especially protected by the females. 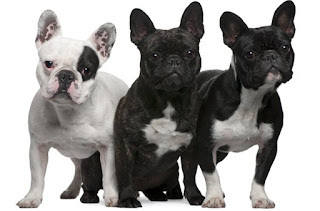 French Bulldogs can easily live with other breeds when the proper introductions are done. They are ranked 58th in Stanley Coren's The Intelligence of Dogs. There are certain exceptions to this average level of canine intelligence; a French Bulldog named Princess Jacqueline which died in 1934 was claimed to understand 20 words, reacting correctly. 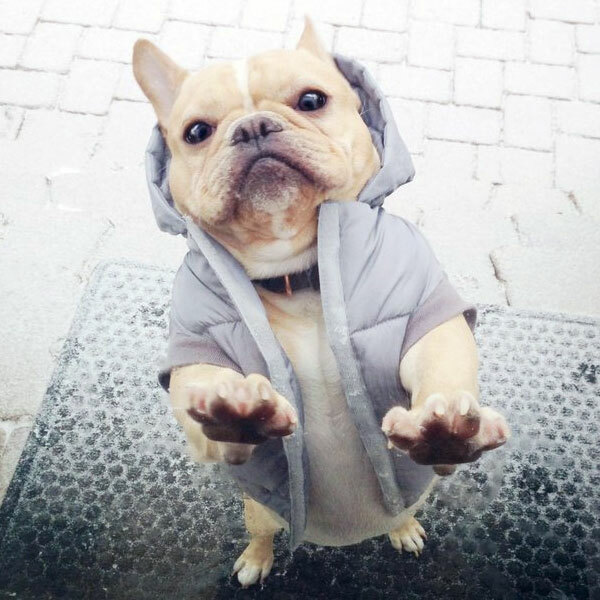 French Bulldogs need a couple of 15 minutes walks every day to maintain their physique, and a few sessions of playing ball to keep them entertained. Their size and activity requirements make them good apartment dogs, but they are just as happy in a big home or on a farm with lots of wide open space. Frenchies don't care so much about the size of their home, as they do the size of their owners heart. French Bulldogs should not be exercised too hard in the summer months, as they are prone to heatstroke. Swimming pool owners should be alert – this breed can not swim and falling into a pool could be life-threatening to a Frenchie. 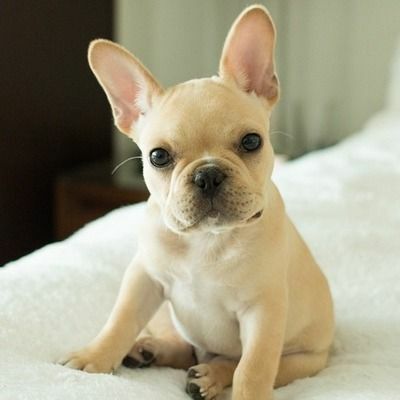 Although the Frenchie is a fun-loving dog, it has minimal exercise needs. It loves an outdoor romp but does not enjoy hot and humid weather. In fact, the French Bulldog is not suited for outdoor living and cannot swim. A short on-leash walk is adequate to fulfill most of the dog’s physical needs. Coat care is minimal but the facial wrinkles of the dog need regular cleaning. In addition, Frenchies tend to snore, drool, and wheeze. French Bulldogs can be a training challenge. They are stubborn and quickly lose interest in repetitive activities. Training should be conducted in short sessions, and the routine should be mixed up to keep the Frenchie's interest. Showering a Frenchie with affection and treats when training is the best way to get results from him. Discipline, punishment and yelling will cause this dog to stop listening all together. House training is a long, drawn out process with a French Bulldog. It can take six months to fully train them, and many breeders recommend crating a Frenchies for that period of time. The French Bulldog has a short, fine, smooth coat that is easy to groom. Brush him weekly with a rubber hound glove or a soft bristle brush. Bathe monthly or as needed to keep the coat clean. Frenchies don’t shed much, but twice a year they lose their undercoat. During the spring and fall shedding seasons, use a stripping comb and grooming mitt to remove the excess hair. The only other grooming required is routine nail trimming, ear cleaning, tooth brushing and wrinkle care. The deep skin folds may need to be cleaned only a couple of times a week or every day. Wipe out the crud from the wrinkles with a soft, damp cloth or a baby wipe, then dry them thoroughly. If moisture is left behind, wrinkles become the perfect petri dish for bacterial growth. Do the same for the indentation at the tail set and the outer vulval area. The rest is basic care. Trim the toenails as needed, usually every few weeks. They should never get long enough that you hear them clacking on the floor. Brush the teeth frequently for good dental health and fresh breath. Frenchies get along well with children, and they're not so tiny that they can't live in a household with a toddler. That said, no dog should ever be left alone with a young child. It's just common sense to supervise and make sure that neither is poking or otherwise harassing the other. When they are socialized to them during puppyhood, Frenchies can get along well with other dogs and cats. Overly spoiled Frenchies, however, may be jealous toward other dogs, especially if those other dogs are getting attention from the Frenchie's very own person. A breed that gets along well with children and animals, the French Bulldog not only makes an excellent companion but a great family dog too. Well-suited for apartment life, this breed will need regular exercise. Playful, he can romp in the yard for hours on end. In need of guidance with a strong leader, the French Bulldog requires a lot of human interaction, socialization and affection to avoid any aggressive behavior. A clean dog, he has an average shedding rate and requires low-maintenance grooming. Easily overheated, it's best that the Frenchie lives in a cooler climate. The wee French Bulldog is popular with celebrities - actor Leonardo di Caprio shares custody of his Frenchie with ex-girlfriend Gisele Bündchen. Waking up in the arms of his owner, the French Bulldog will snooze until his master rises. Once up and at 'em, he'll want to be let out first in the morning to work off some of his high energy. Trotting back inside, he'll be ready for lunch and a bit of cuddle time on the couch. After receiving some affection, he'll greet the other members of the family while romping around the house and backyard. Once the day has ended, the French Bulldog will crawl into bed with his loving master.